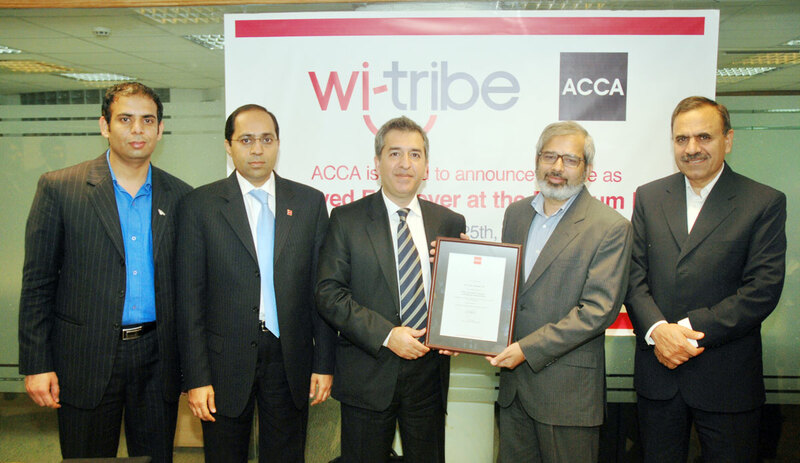 wi-tribe Pakistan has announced its recognition by ACCA Pakistan, as an Approved Employer at the Platinum level entailing Professional and Trainee Development. Under this program wi-tribe will receive a tailored package of services designed to help attract, develop and retain high caliber accounting and finance professionals. ACCA will provide account management support for the development and retention of wi-tribe’s finance professionals with the assistance of a dedicated resource. Other benefits will include participation opportunity in ACCA events and publications at national and international level and cutting-edge research in this field. “We are thrilled to be recognized by the ACCA for our efforts to train and empower our workforce. The program will greatly benefit our financial departments and help wi-tribe move into the future,” said Sami Hinedi, wi-tribe Group CEO. wi-tribe will receive global recognition as an employer of choice, demonstrating to the market, potential recruits and a commitment to providing a higher standard of professional and career development. experience records; rather will only have to submit a declaration of being employed by an Approved Employer. The Approved employer program will assist both wi-tribe and ACCA in understanding how to tackle key development issues of financial professionals and facilitate sharing of best practices between the two entities. is there any benefit to use? I mean ACCA students?